Product prices and availability are accurate as of 2019-04-23 21:44:14 UTC and are subject to change. Any price and availability information displayed on http://www.amazon.com/ at the time of purchase will apply to the purchase of this product. A very popular item! 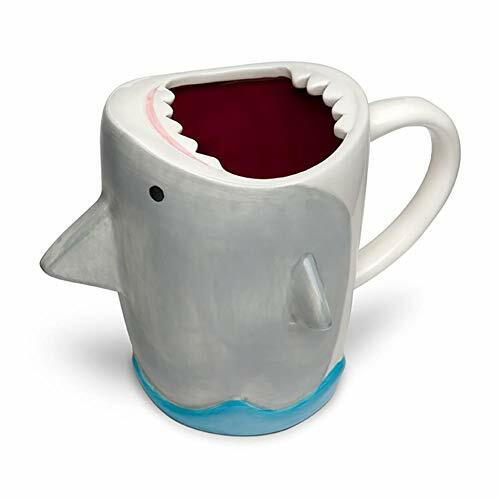 Order ThinkGeek, Inc. Shark Attack 12oz Molded Ceramic Mug securely at The We Love Sharks Store today. Drinking coffee used to be so safe!